Rob Niedermayer can’t help but smile as he thinks about his humble upbringing in the Kootenays. 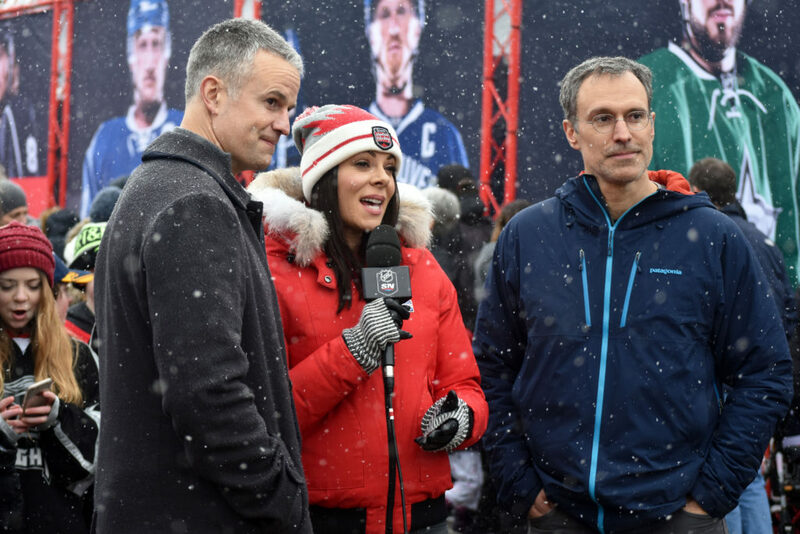 Rob is visiting downtown Cranbrook for Rogers Hometown hockey, a weekly celebration of community hockey hosted by Ron MacLean and Tara Slone. Although he still lives in the area, the event is a special opportunity for him to return to the spotlight and show off his city. His older brother Scott — one of the most accomplished defenceman in Canadian hockey history — is in the corner, having just given his little bro a hard time about his greying hair. Although, together, the brothers have accomplished amazing feats while playing professional hockey across the world, back in Cranbrook, they’re just a couple of kids. ‘Some success in the NHL’ is a major understatement. As part of their 100 anniversary, the league recently named an official 100 greatest players list and Scott made the cut right alongside Wayne Gretzky and Gordie Howe. Through 17 seasons with the New Jersey Devils and Anaheim Ducks, the elder Niedermayer won an unbelievable four Stanley Cups, a Conn Smythe Trophy, and a Norris. Playing for Canada internationally, Scott won two Olympic gold medals, a World Championship, a World Junior Championship, and a World Cup. For his part, Rob staked out an impressive career putting up over 450 points in almost 1,200 NHL games while playing for five different teams and teaming up with Scott to win the Stanley Cup in 2007 with the Ducks. The tremendous success is something the boys say they owe to the community they grew up in. Although they may have pretended to be NHL players while whizzing around the lake at the Ramparts, it was the local teams that had them in awe when they were growing up. “It was a big deal to go down to the Memorial Arena and watch the Cranbrook Colts play Junior B or the Cranbrook Royals Senior Men’s team,” Scott says. “We were excited [at] seven or eight years old to go down to the rink to watch these guys play. With the team for sale and fear of relocation at a paramount in the community, the Niedermayers say they are hopeful the Ice can stay in the Key City. Scott echoes those sentiments but adds that he understands the reality of the situation. Without a stake in the team anymore, however, the Niedermayers are mostly focused on their families. “My biggest passion [now that I’m retired from hockey] is watching my kids grow up,” says Rob who moved back to the East Kootenays after his career ended in 2012. “When you’re playing, you’re away a lot and it takes a lot of time away from that. Scott, who is raising his four boys in Anaheim, is also now, for the most part, also a stay-at-home dad. Both men relish in the opportunity to get their kids out onto a Cranbrook pond, as they enjoyed so much when they were youngsters. Rob has a little pond at his place that serves as a great family rink. While Scott lives in California and can’t relive his childhood as much as he might want to, his family has come up to Rob’s place during the last three Christmases. “[Coming from] southern California, it’s a really special thing for them to be able to do,” he says. “We actually just got back from Quebec City [as well], where one of my boys was in the Peewee tournament last week and we brought the whole team out a few times to skate outside and obviously kids from California get a huge kick out of being able to do that. During Sunday night’s broadcast of the Toronto Maple Leafs and Carolina Hurricanes game — the centrepiece of the Hometown Hockey weekend — Scott and Rob had the chance to tell their Cranbrook stories to the entire country during the first intermission. While their crowning moment may have happened on a rink in Anaheim when the Ducks won the Stanley Cup and captain Scott passed the trophy to Rob, the boys’ hearts are still in Cranbrook.